What’s happening with leadership in Australia? Leadership of a country is undoubtedly a way more complex undertaking than leading a company and it is a matter that I have no experience in or deep relationship to. 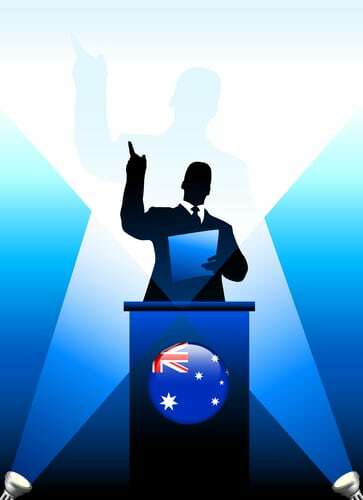 However, the convening of the recent National Reform Summit points to there being a concern in the wider community of Australian leaders about a lack of real political leadership. In the official statement from the Summit the participating groups say “We agree that too much of the current debate is consumed by special interest lobbying and single-issue politics at the expense of the broader community interest. All major political parties need to take action, and reach a bipartisan view on the major challenges we face as a nation.” The groups included some of Australia’s biggest companies, unions, welfare and business institutions. Just getting all of these people in the one room at the same time would have been an enormous undertaking and says volumes about the level of concern and frustration that’s out there. Has the context for political leadership in Australia shifted to staying popular instead of leading and managing the country? Even though the challenge may be different, the principles of leadership remain the same no matter what. Leaders and leadership teams need to have the ability to recognise when they have lost their way and have the difficult conversations required to reconnect deeply with their true purpose.